​​​​​​​Our in house laboratory provides quick patient-side results while you wait. 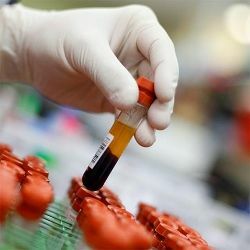 We can do in house blood testing to evaluate internal organ health, electrolytes, and red and white blood cell counts, as well as test for clotting abnormalities. We can check blood types and make sure transfusions are unlikely to result in reactions. We can check for feline viruses and viral diarrheas in dogs and cats all within minutes! Faster answers = faster decisions = faster action to getting your beloved pet back to health! Our digital x-ray system and paperless medical records decrease the amount of waste and contamination to our community and to our planet. Once the digital images are taken, they areuploaded to our central server, where they can be viewed at any site in the hospital. These images are also archived offsite in 2 different locations, as a further security measure. 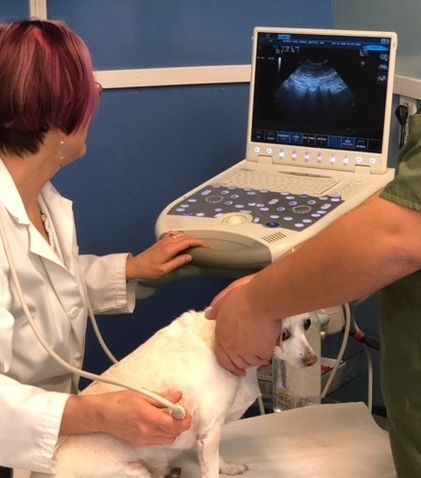 Ultrasound is a non-invasive imaging procedure that complements x-rays and allows our clinicians to better visualize internal organs in the chest and abdomen. This painless diagnostic technique is normally done without sedation of your pet. Ultrasound is invaluable for making treatment decisions for various types of heart disease. It also allows us to biopsy organs such as the liver, kidney and spleen through a tiny “keyhole” incision. 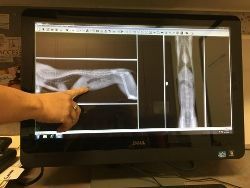 Using the ultrasound image as a guide, major surgery is avoided and your pet can often go home the same day.